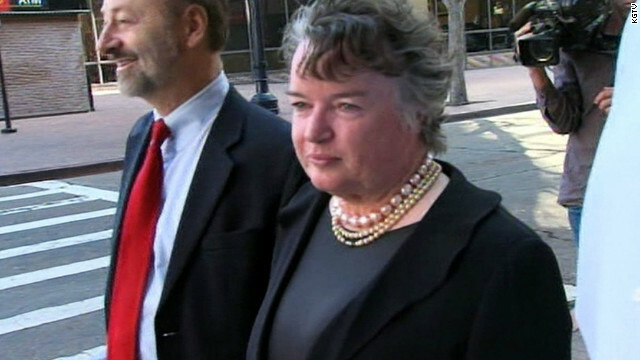 Last week, Maureen O’Connor, the former Mayor of San Diego (and widow to the Founder of the Jack in the Box burger chain) admitted to misappropriating (stealing) millions of dollars from a foundation in order to feed her gambling habit. In the course of nine years she won and lost a billion dollars. Wow! Hey, we’ve all done horrible things and the point of this post isn’t to trash a person for committing a sin (or would that be a billion individual sins? Who’s counting though…), it is to speak into the way O’Connor was able to shape her confession in order to minimize the public response and consequences for her crime. Because of a brain tumor (we are told), she became another person. This is the argument. In her words, “There were two Maureens – Maureen No. 1 and Maureen No. 2…” Her assertion goes something like this: Maureen No. 1 (the good Maureen) didn’t know what Maureen No. 2 (the bad Maureen) was doing. Apparently she has been given the kind of plea deal that corporations often get with big time tax evasion. Let me see if I understand… The Department of Justice is mad at Maureen No. 2, but is charging Maureen No. 1. Or is it that it is punishing Maureen No. 2, but Maureen No. 1 gets a vote? I’m confused. No, we never hear it the other way around. It is always that the condition drives worse behavior. And no wonder why we lose faith in pastors, politicians and corporate executives, and anyone else who holds the public trust. Here is the thing: God doesn’t beat up sinners. He forgives them. Pretending our sin to be something other than what it is only deafens us from His sweet invitation to be made clean, a plea to approach a throne drenched in the mercy of Christ, and then to dance to the sweet song of forgiving grace. The alternative is… well, it’s just confusing. So let’s recap: God has a throne. He invites sinners to confidently approach it. On this throne sits Jesus, the One who has paid for the very sins we confess. And from this throne He dispenses mercy. Heh! I just subscribed because I am anticipating the next installment. Fabulous. Do it some more. …I followed you at every point Mike…flawless, coherent logic that quite frankly had me laughing with a great big grin… I love your appeal, it’s spot on bro! Hi MIke! I miss your sermons in Miami and am happy to add this blog to my life! You were always an amazing pastor and a blessing to our family. You are currently reading A Friendly Rant about Sin at unfinished1.